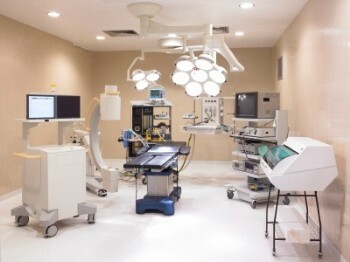 Medical Facilities demand high cleaning standards. With Quality Control programs in place and an experienced Management Group, CSI is able to maintain the sanitation requirement of your facility. Supervisor accountability and a weekly operations walk through ensure that the highest standards are being met. Our experience in servicing hospitals, medical professional buildings, laboratories, clinics, and medical schools allows us to utilize this knowledge to develop comprehensive programs for each facility. We can provide you with a quality cleaning program for your health care facility incorporating all necessary safety requirements while maximizing the results of your housekeeping and environmental services costs. We look forward to the opportunity to serve you for all your cleaning and janitorial service needs. Please contact us at Contact Us and/or if you are interested in more information on our professional medical facility needs, please complete the Request a Quotation to receive a prompt response to discuss your specialized needs for your facility. We hope to serve you soon!